Both leaders had not only a genius for waging war but a gift for explaining why it must be waged. 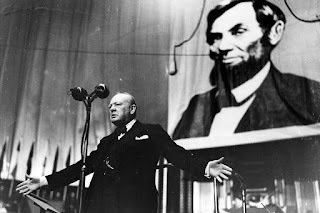 The enduring fame of Abraham Lincoln and Winston Churchill rests chiefly on their leadership during existential conflicts. 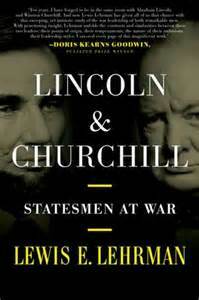 And while the American Civil War and World War II differed in scale, strategic difficulty and technological complexity, the two leaders indelibly stamped their respective causes in similar ways, as Lewis E. Lehrman observes in his penetrating new book, “Lincoln & Churchill: Statesmen at War.” Decades and much else divide the two men, but the qualities they share inspire all who defend the cause of freedom. Lincoln was an enigmatic figure even to his closest associates; his longtime law partner called him the most “shut-mouthed” man that ever lived. Churchill was ceaselessly voluble, pouring out his thoughts and opinions in an endless geyser of rhetoric, publishing more words than Shakespeare and Dickens combined. Their martial experience, too, could hardly have been more different. At about the age when Churchill was charging with the British cavalry in the Sudanese desert, Lincoln waged “bloody struggles with the mosquitoes,” as he self-mockingly put it, during the Black Hawk War in Illinois. Pacific by nature, the young Lincoln refused even to hunt game, while Churchill lunged into conflicts from Cuba to India to Africa. Ultimate power came to Churchill late. He was 65 when a reluctant King George VI appointed him prime minister. By that time, he had held every high cabinet post save that of foreign secretary. Lincoln was inaugurated a few weeks after his 52nd birthday, one of the youngest presidents yet elected, having served only a single term in Congress.